Tired of dry skin and cracked nails? This nourishing lotion is a combination of natural ingredients that moisturize your skin with avocado oil and shea butter while it nourishes with vitamin E. No alcohol or fillers are used so this lotion is very concentrated and doesn't dry out your nails and cuticles. This is an excellent daily moisturizer. 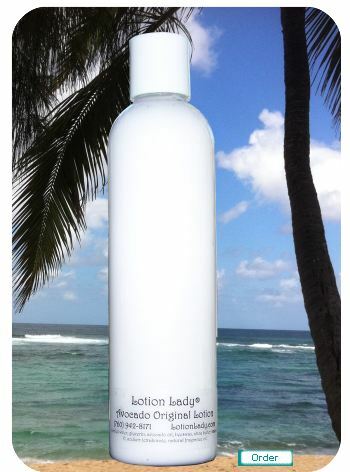 After a day in the sun or drying air conditioning, Original Lotion offers the soothing moisture your skin needs. Available as Original lightly scented with China Rain or Absolutely Unscented. Your choice. Orignial Lotion 8 oz. Plastic Flip-top Bottle... $13.50 or $12.50 each for two or more! Also available as Absolutely Unscented Lotion.